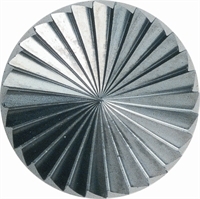 Applications: Carbide burr cylinder with an end cut base can be used on their sides or end, or both simultaneously. This makes them useful for cylinder bases or for working flat profiles in castings etc. Product Notes: Made with a high grade tungsten carbide. Most of our selection is suitable for hard metal such as stainless steel and alloys. The 'Non-Ferrous' option would give better performance on aluminium alloys, bronze and brass.